The Tiny Treasures collection by Roberto Coin extends your personality through its initial medallions. 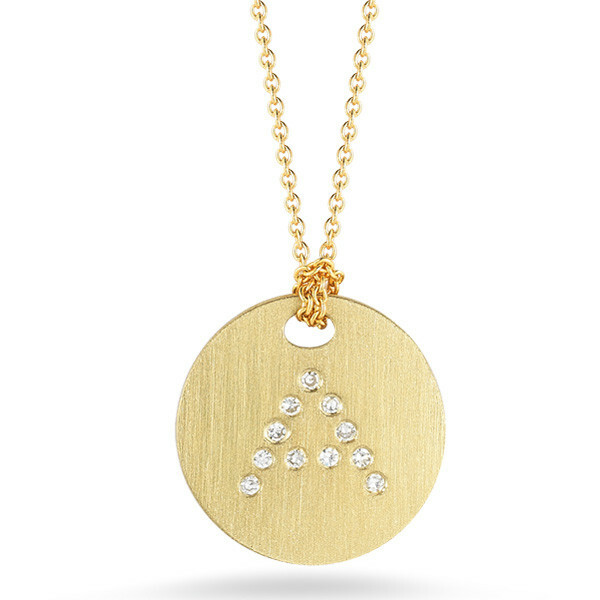 A round disc is crafted from 18kt yellow gold, and the initial A is embellished on the disk in scintillating white diamonds. The yellow gold whisper chain is threaded through a small hole in the disk and secured by a Lark's knot. It is adjustable from 16" to 18". 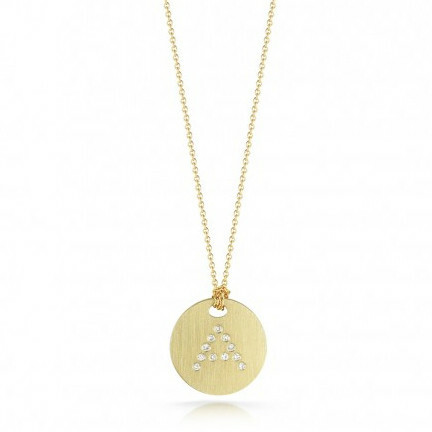 A Roberto Coin initial necklace is a great casual piece.